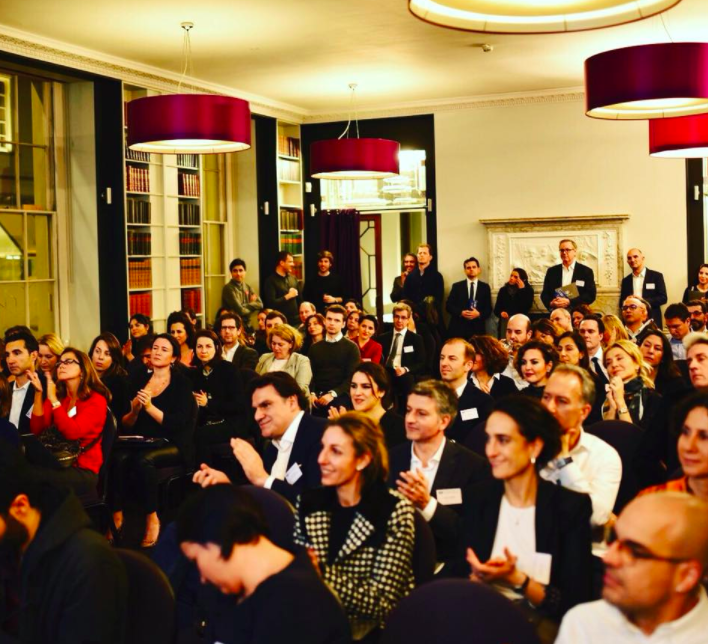 On 18 January 2018, the Royal Institution in London was home to our launch event for the Turkey Mozaik Foundation. We were delighted, humbled, and extremely encouraged by the exceptionally warm attendance we received from more than 100 guests. We are grateful to our guest speakers from Turkey: Bego Demir from Temiz Giysi Kampanyasi (Clean Clothes Campaign Association) an organisation that we proudly choose to support and Ali Karabey with Fevzi Toksoy (as well as Gizem Girgin and Tugce Sarioglu) from our grant maker partner organisation Sivil Toplum icin Destek Vakfi (Support Foundation for Civil Society). We choose to focus on what connects us rather than what divides us. You can watch the video of our launch event. “I came to London 17 years ago on a scholarship and have always wanted to give back to Turkey, my country. As some of you may be familiar, reading some news from Turkey hurts more when you are abroad and away from friends and family. One particular example was the morning of May 13th, 2014 when we woke up to the news from Soma, where more than 300 miners had lost their lives. I remember feeling helpless and desperate to do something and to talk to someone who would understand. It is this feeling of desperation and the need to do something that brought our group of like-minded friends Ipek and Cemil, Oya and Yalin, Ergem and Ozgur and Burak together. We wanted to find a way so that we could be involved in making a difference. Our conversations resulted in formally establishing a foundation thanks to Yoruk’s recent arrival to London. We couldn’t ask for a better guide to steer us through the civil society landscape in Turkey, the alternative methods of fundraising and most importantly, provide extremely valuable links to small grassroots organisations that we would otherwise not even have heard of. With more than 20 years of experience, Yoruk is one of the pioneers in Turkish Civil Society and has played a crucial role at Bilgi University’s centre for Civil Society Studies where he worked closely with many grassroot organisations. You may ask how we can be confident that any effort will be worth it? It is understandable to be negative and to lose hope in Turkey and in the rest of the world these days given all the divides between different groups of the society. You can rest assured that we have asked these questions to ourselves and to each other many times at the start – were we being too naive to think we can actually make a difference? The more we learned on this journey, the more inspired and motivated we became by the incredible positive change created by very small grassroot organisations operating on very small budgets. We choose to be optimistic about what connects us instead of focusing on the divides. We met amazing people who have done amazing work and actually brought about real change- so while we are aware of the divisive landscape and the care we need to take in working smartly as well as efficiently, we are also hopeful that we will be operating from a place and for causes where any human will be moved and willing to help regardless of their background, education or political affiliation. Our questions were soon replaced by “when do we start, how can we make more people aware of these stories and how can we facilitate funding so more people can benefit?